Marshall University students will soon be able to enter campus dining halls with their fingerprint, adding an alternative to the student ID card. As reported by the Marshall Parthenon, two campus dining facilities will be included in the biometric access system for now and students are currently engaging in the fingerprint enrollment process. The implementation of fingerprint biometrics marks the first foray into large scale biometric access at the university. Bob Dorado, Marshall’s campus card manager, stresses the system will not replace existing student ID card access, but rather offer another option for dining hall entry. Dorado also stresses that the new biometric system doesn’t register or keep images of students’ fingerprints, but rather follows industry best practices by encrypting that data to effectively safeguard student information. 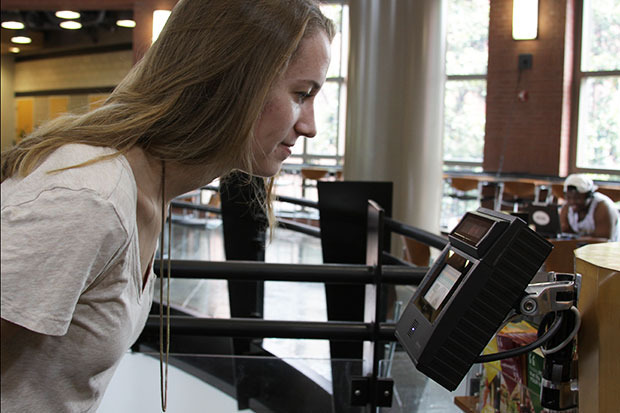 Biometric access to dining facilities isn’t a new phenomenon, but Marshall did take cues from fellow higher education institutions when making the decision to deploy biometrics. “It’s something we’ve looked at for a long time, we’re always concerned about the security and the price, and all those things have evolved to where it’s an affordable solution and it’s very secure,” Dorado said. The new biometric system is still in the testing phase at present, though Dorado says it is already working well. Should the system continue to impress, the university will continue its use next semester with further plans to expand use to other areas of campus. One of the primary reasons that Dorado and the card office staff decided to implement biometrics was convenience. A hallmark of any biometric access system, fingerprint access doesn’t require anything but the user themselves to gain entry. Students routinely lose or forget their student ID card, so this system will offer some added flexibility to those students that opt into the fingerprint access program. Fingerprint access is an entirely opt-in program, and interested students with meal plans can visit Marshall’s campus card office to enroll. The enrollment process takes less than a minute and scans both the right and left index fingers.